Litigation Funding: What is Lawsuit Pre-Settlement Funding? What is lawsuit pre-settlement funding? How can someone "invest" in a lawsuit? What is an Investor's role in a pending lawsuit? Will I repay a lawsuit cash advance If I lose my lawsuit? Can you advance cash if a lawsuit is on appeal? Will an Attorney loan cash for pending lawsuits? Do banks loan money against pending lawsuits? Why is a pre-settlement cash advance not a loan? Do you provide advice about my pending lawsuit? 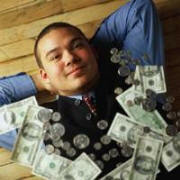 How can my Attorney help to get a cash advance? What Is the fee to apply for a lawsuit advance? What's next after my cash advance application? What does a lawsuit cash advance cost? When will I get the cash for my pending lawsuit? Lawsuit Pre-Settlement Funding enables you to quickly obtain a cash advance against the future settlement of your pending lawsuit. This cash advance can be a bridge to cover financial needs until your case is settled. In some cases, it can provide money to cover expenses necessary to develop the case and see it through to completion. For others, it can mean cash for living expenses during litigation.